This article is taken from ‘Take Charge of Parkinson’s Disease: Dynamic Lifestyle Changes to Put YOU in the Driver’s Seat’. No salmon? 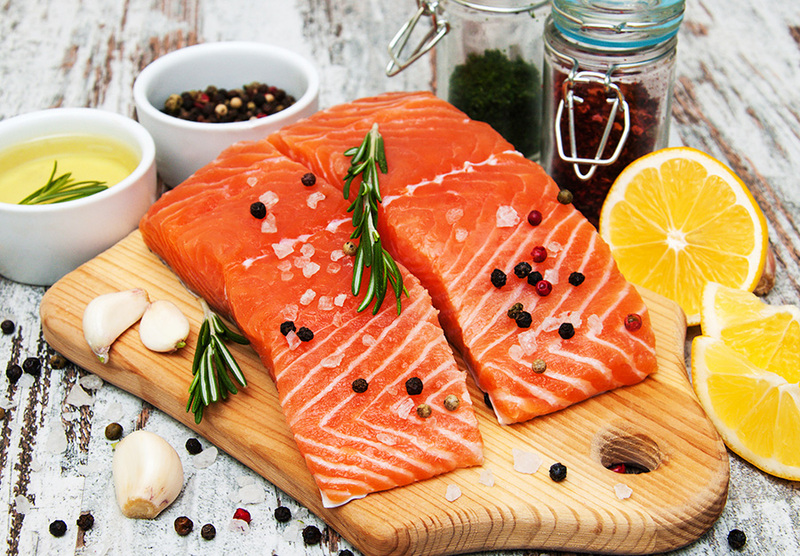 Substitute other safe and sustainable fish: flounder, Oregon pink shrimp or Dungeness crab. 1. In a medium-sized mixing bowl, combine half the bread crumbs (reserve other half of bread crumbs for coating) and remainder of ingredients, except cooking oil and lettuce. 2. Mix together and shape into patties. 3. Coat the patties in the remaining bread crumbs. 4. At this stage, you can cover and refrigerate patties overnight, until you’re ready to cook them. 2. Spoon dressing over one half the salmon patty. 3. Garnish with avocado slices and blueberries. 4. Sprinkle dill or fennel over all and add a zest of lemon. 1. Heat the canola oil in a pan and fry the salmon patties about 7 minutes on each side over a medium heat. 2. 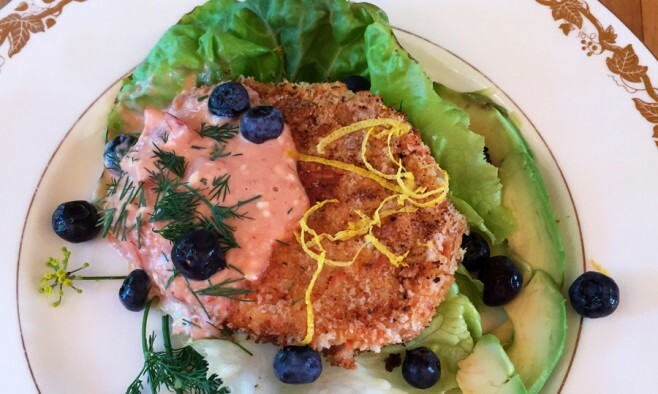 Serve each fishcake on a leaf of lettuce and drizzle with the red dressing. 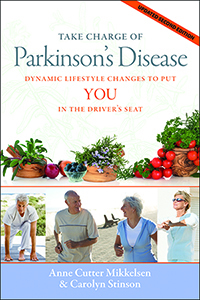 ‘Take Charge of Parkinson’s Disease: Dynamic Lifestyle Changes to Put YOU in the Driver’s Seat’ by Anne Cutter Mikkelsen and Carolyn Stinson is available in print and ebook from Amazon.